Regardless of the origin or destination, making a move is a serious undertaking—and you deserve the support of true professionals. Rather than trust your relocation to just any Malvern moving company, count on the world-class quality of Simonik Transportation & Warehousing. A professional mover in business since 1977, we uphold a commitment to moving and storage excellence that’s simply unmatched by other Malvern movers. In terms of affordability and reliability, we’re the local team to trust! 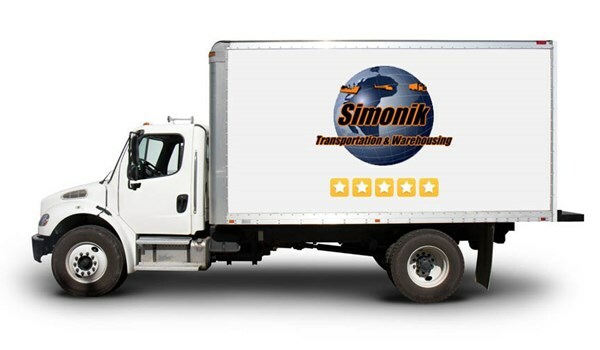 Many Malvern moving companies advertise their household moving services, but the experts at Simonik Transportation take service to the next level. Unlike many of our competitors, we offer fully customized moving plans that are based on your specific needs regarding budget, timeline, and household size. Our flexible load/delivery times and numerous valuation coverage options will keep your family’s move easy—whether you’re moving locally, state-to-state, or across the country! Office Moves: We can move your computers/servers, plan your new office space, and set up your modular furniture. Corporate Relocation: Let us assist with your employee relocations as well as your physical office moving. To make your local, long distance, or international move as stress-free as possible, consider adding storage from Simonik Transportation! Available at any time before, during, or after your move, our storage options will give you extra time and space to complete your relocation on your own schedule. Our Malvern movers offer both traditional warehousing (in a 79,000-square-foot facility with 24/7 monitoring) as well as convenient self-storage units with free pick-up and delivery. No matter where in Pennsylvania or around the world you might be moving, Simonik Transportation & Warehousing would be pleased to help you get there. Find out more about the most reliable movers in Malvern, PA by giving us a call today! You can also fill out our online form to request your free in-home or in-office quote now.